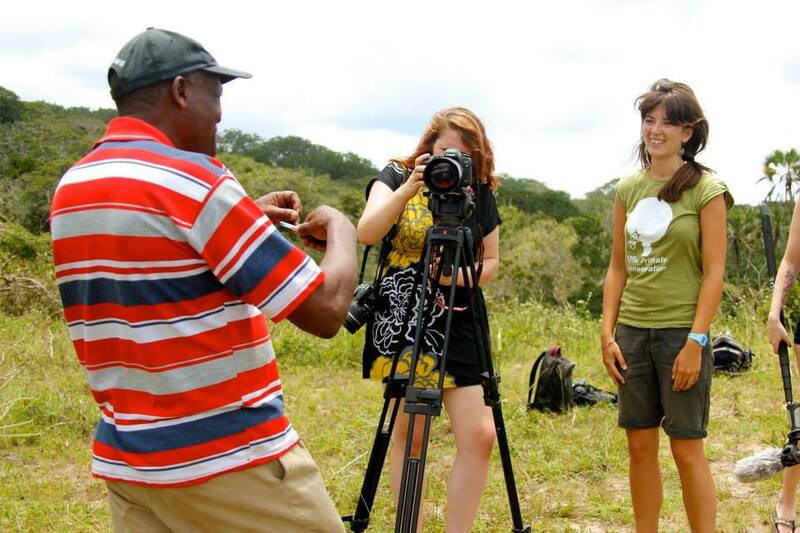 Initiated in 2007, Handshake is a Community Interest Company that focuses on skill sharing and volunteer training in the production of digital media for conservation and community projects. With twelve volunteer projects completed in South Africa, Kenya, Uganda and Cameroon from 2008 – 2013, and several awards for innovation and quality, Handshake has a legacy of positive impact on both its projects and volunteers. Starting as a volunteer in 2009, I was lucky enough to go on to be part of eight Handshake projects, six of which I helped to plan and implement as a member of Handshake staff. A part of my role was to write content for our website; this was my first, invaluable, experience of writing for an audience and it is one I am very grateful for. Through the Handshake, I gained my understanding of the importance of community involvement in conservation, the confidence to take on challenges I previously thought impossible for me, and the determination to continue working in conservation, no matter what.